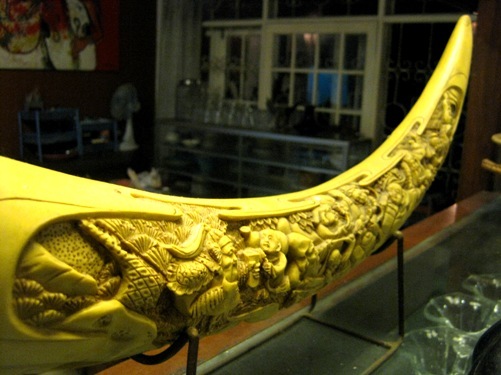 This ivory decorates a restaurant. The attention to detail in this carving is amazing! Beautiful!